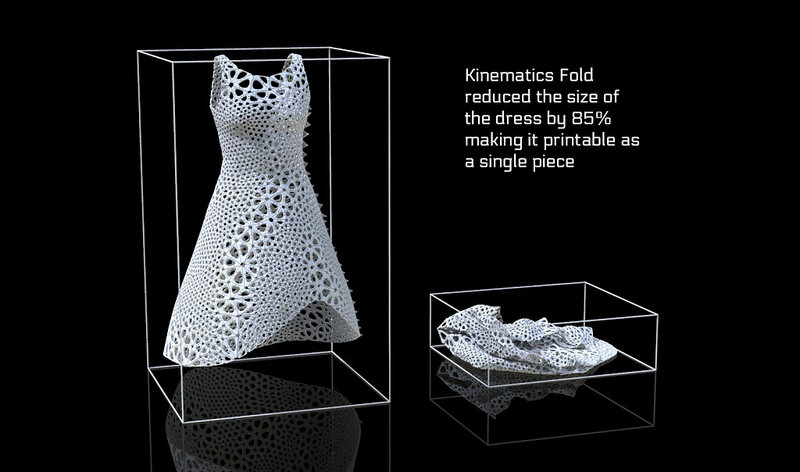 Clothing designs generated in Kinematics Cloth are too large to fit in a 3D printer. In order to make them printable, we compress them with Kinematics Fold, our simulation tool for Kinematics designs. 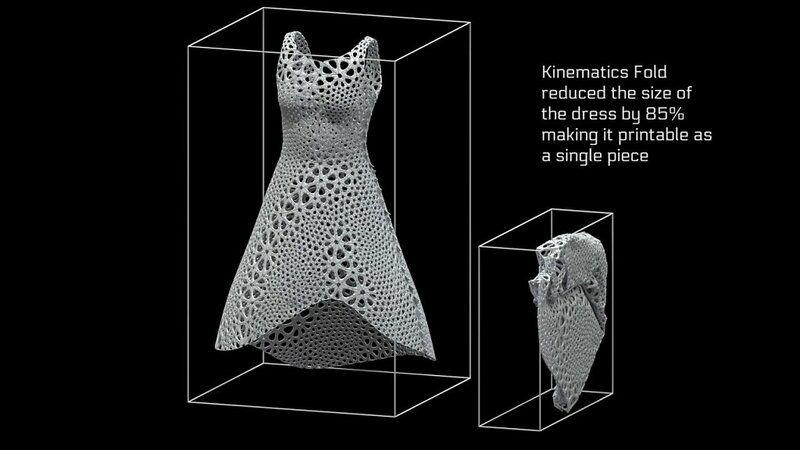 The Kinematics Dress was compressed by 85% by folding it in half twice. 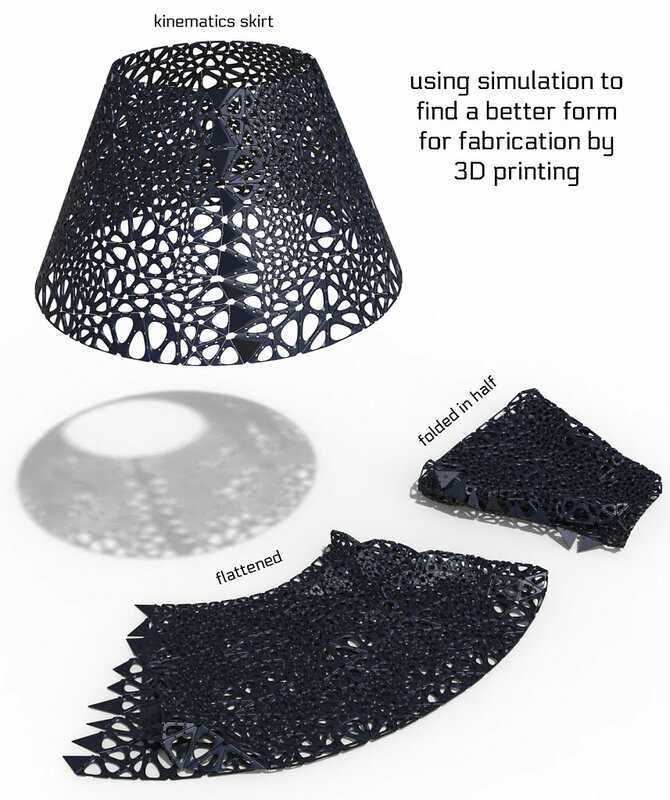 Kinematics Fold uses rigid body physics to accurately model the behavior of the structures generated by Kinematics Cloth. 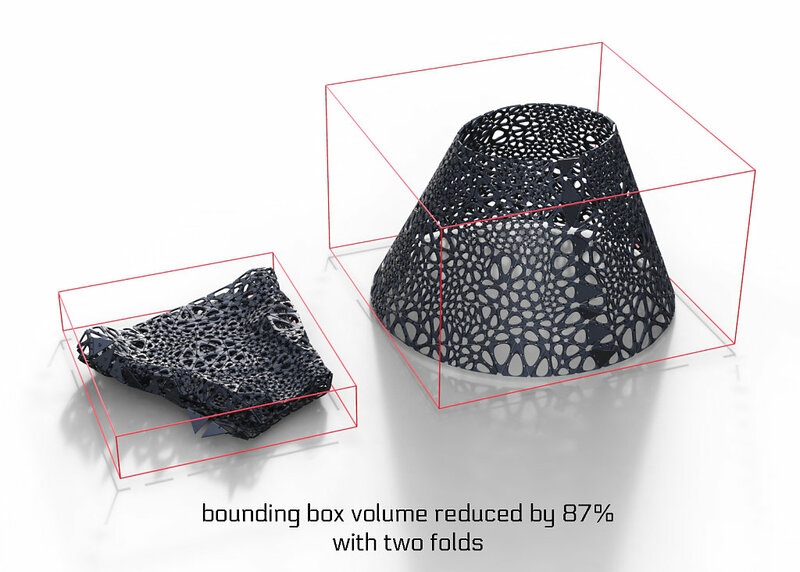 The simulation uses the Open Dynamics Engine (ODE) solver to reproduce the behavior of the physical object with each module represented as a simplified triangular shape connected to each other by idealized hinges. 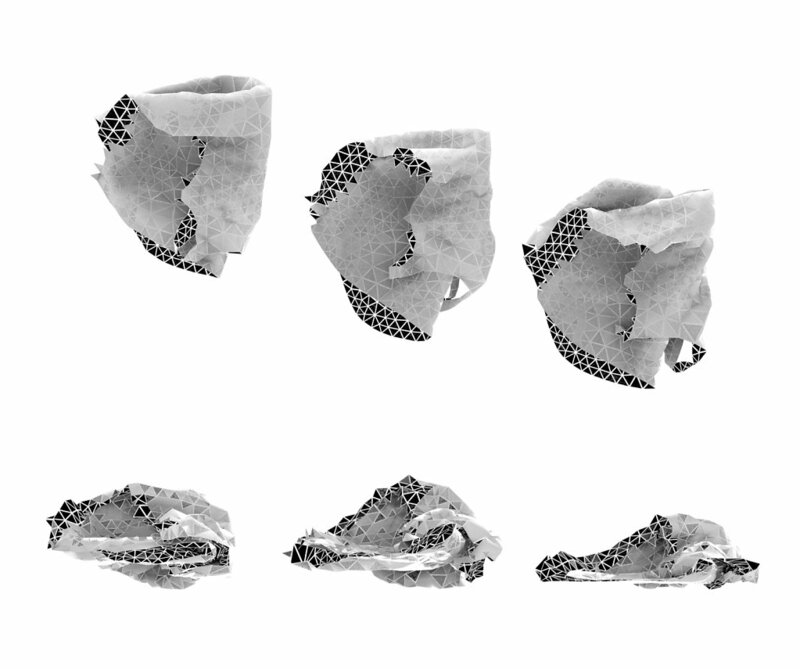 Rather than trying to find an optimal fold for a given structure, which would be computationally intractable, the software mimics how one might physically fold a garment in real life. Each garment goes through a series of collisions designed heuristically to reduce the overall size in an intuitive manner. Even this approximate approach is quite computationally intensive and encounters many difficulties. Geometry has direct impact on how well an object can fold. Areas with negative Gaussian curvature have a lot of movement but areas with high Gaussian curvature are naturally more rigid, preventing compression. Also, the network of hinges between rigid bodies is densely interconnected which causes numerical problems. Not only does the computation required greatly increase with the number of hinges, but the error of the entire system also increases.